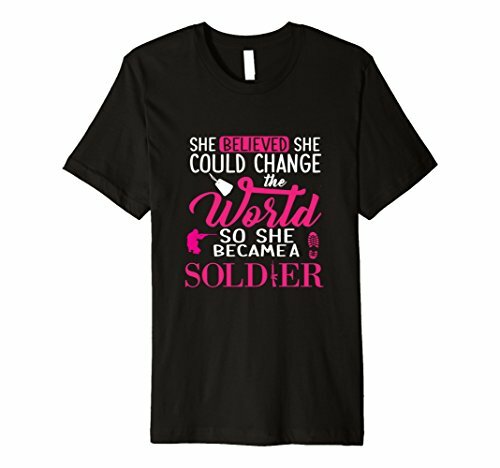 Check out these she believed she could change the world shirts for soldiers. 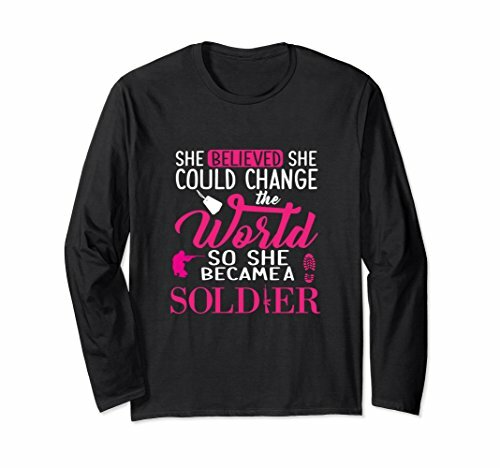 These shirts makes a perfect gift for someone who just graduate bootcamp or someone who needs encouragement why on deployment. 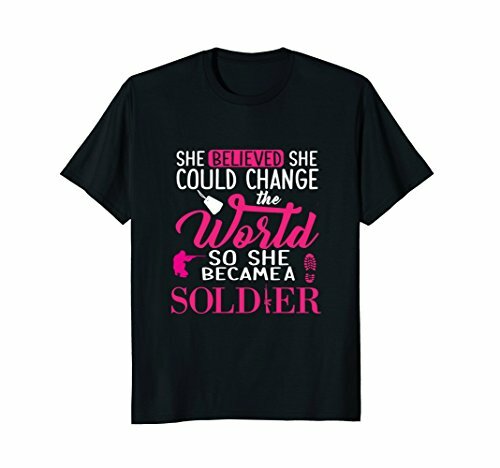 Each shirt comes in a variety of colors. 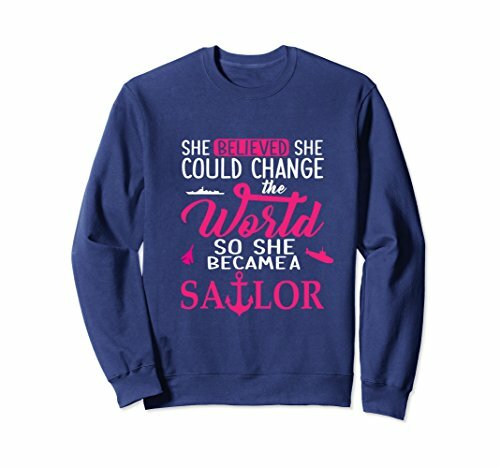 Just click the by from Amazon to see all available colors.